How to Shop for Stylish Wintertime Dress Boots. If you want to feel comfortable in the wintertime, proper footwear should be a priority. A good pair of dress boots can keep your feet fashionable and cozy all year long. Cold weather footwear can sometimes be an afterthought for men. 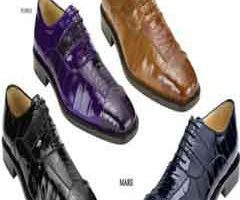 If you want to put together a superb men’s wardrobe for the fall and winter, however, you can’t dismiss your footwear needs. 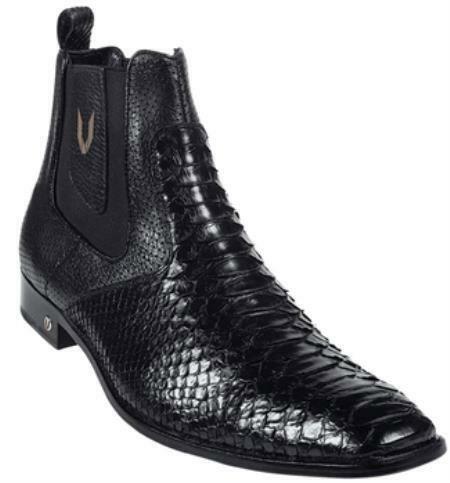 The mere idea of boots makes many fashion-conscious men out there want to roll their eyes. The reality, however, is that boots don’t have to be overly casual. They don’t have to be unattractive wardrobe downers at all. If you’re patient and selective, you should be able to find amazing winter dress boots that can actually take your style to a whole new level. 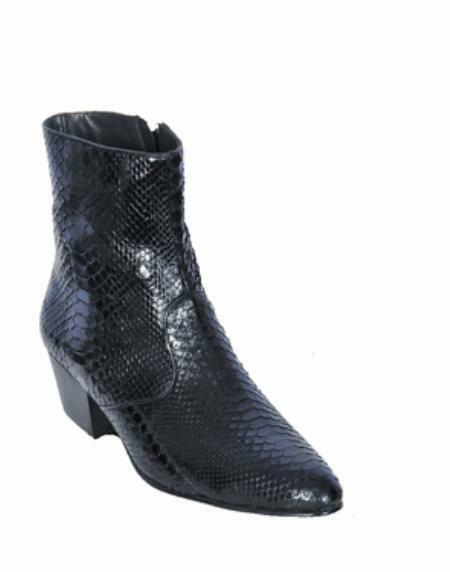 Buying wintertime dress boots online can often seem rather intimidating. 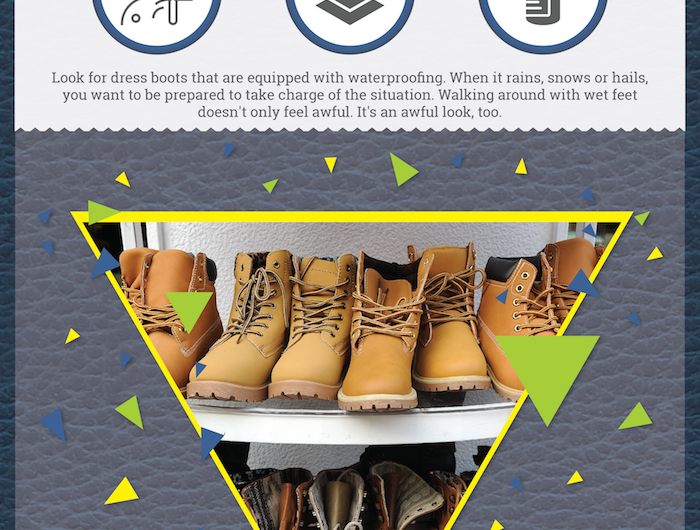 If you’re looking for a pair of winter boots that combines excellent style with pure comfort, these simple guidelines can come in extremely handy. You should concentrate on comfort first and foremost. If you don’t feel comfortable in your winter dress boots, you sure won’t look good. Few things can be more unappealing than a man who is constantly sniffling and who has a bright red nose! 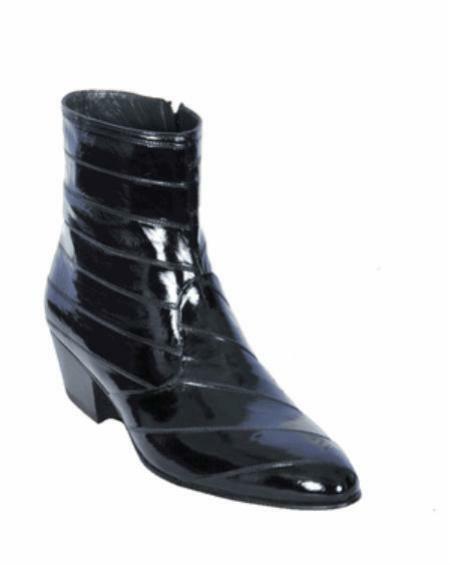 Look for dress boots that are equipped with waterproofing. When it rains, snows or hails, you want to be prepared to take charge of the situation. Walking around with wet feet doesn’t only feel awful. It’s an awful look, too. Also look for boots that offer ground insulation. 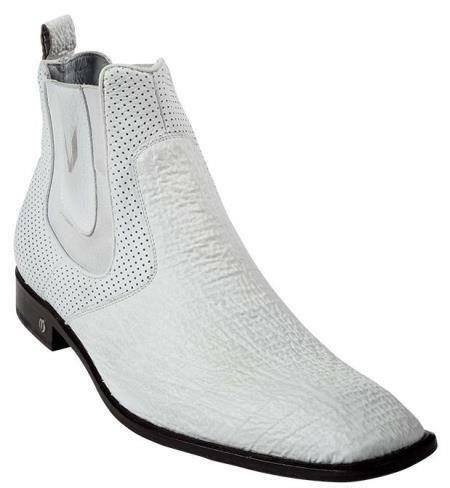 Boots that have multilayered soles fit this description. Air and wind resistance is important. The same goes for inner insulation. If you want your winter dress boots to be particularly comfortable, make sure they have padding and strong lining. If you’ve found a pair of winter dress boots that satisfies all of your comfort requirements, you can then move on to the aesthetic side. 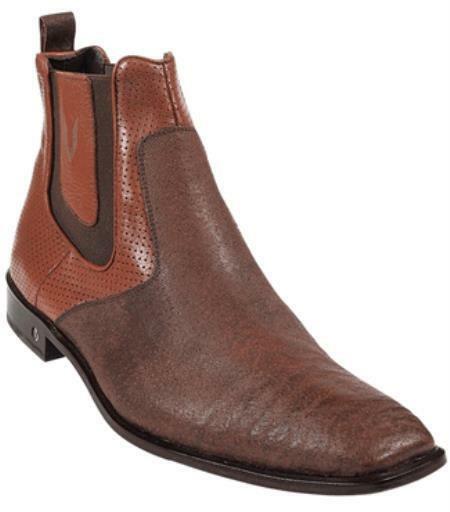 Men who want to look fashionable and winter-appropriate should focus on winter boots in darker and deeper colors. Black, chocolate brown and navy blue all tend to make superb winter boot color options. Material should also be a major focus. If you want winter dress boots that look and feel great at the same time, search for choices that feature leather exteriors. 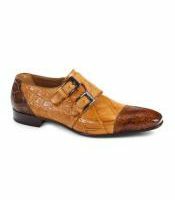 It can also be wise to look for choices that have simple and basic upper designs that are a lot like those seen on traditional dress shoes. Finding a stylish pair of wintertime dress boots doesn’t have to be a task that makes you feel like your head is about to explode. It, at the same time, should be something you take seriously. If you’re detail-oriented, patient, thorough, sensible and practical, locating that perfect pair of winter dress boots shouldn’t be out of your reach in any way. 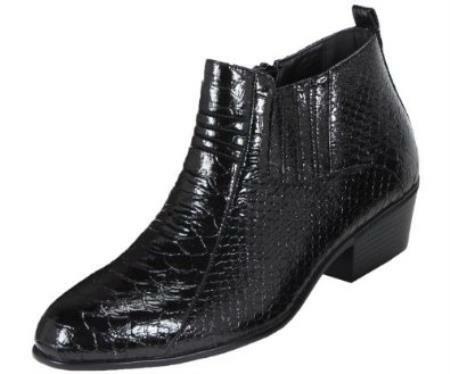 Men who shop online and offline can usually explore a vast selection of high-quality dress boots that are optimal for frigid and unforgiving fall and winter temperatures.